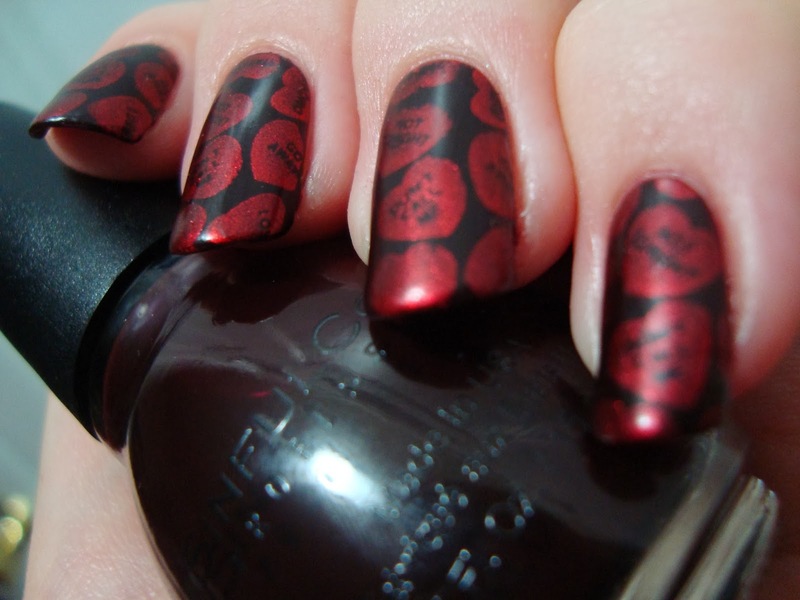 I giggled childishly as I stamped these mean little hearts with Sally Hansen Red-io Active. The more I looked my nails, the more they reminded me of novelty satin boxers. 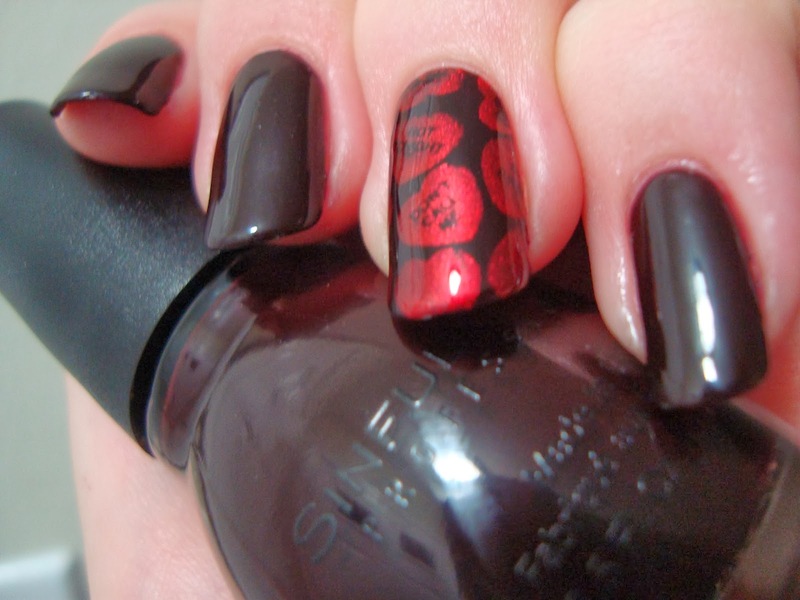 Sinful Colors Matte Finish gave them the perfect level of shine and tied the look together perfectly. They say all kinds of horrible things beyond just the "don't call me", "not tonight", and "go away" that you can hopefully see here. There's also "loser", "omgwtf", "stalker", and a few others. I got a kick out of them when I first got that bunch of plates, but they're even more amusing on. My only gripe is that the image is just the right size for one nail. A bigger "infinite" image (like some from MoYou, Vivid Lacquer, or Pueen) would have let me position them with more variety. I really hope that style of plate takes off. There are so many possibilities! 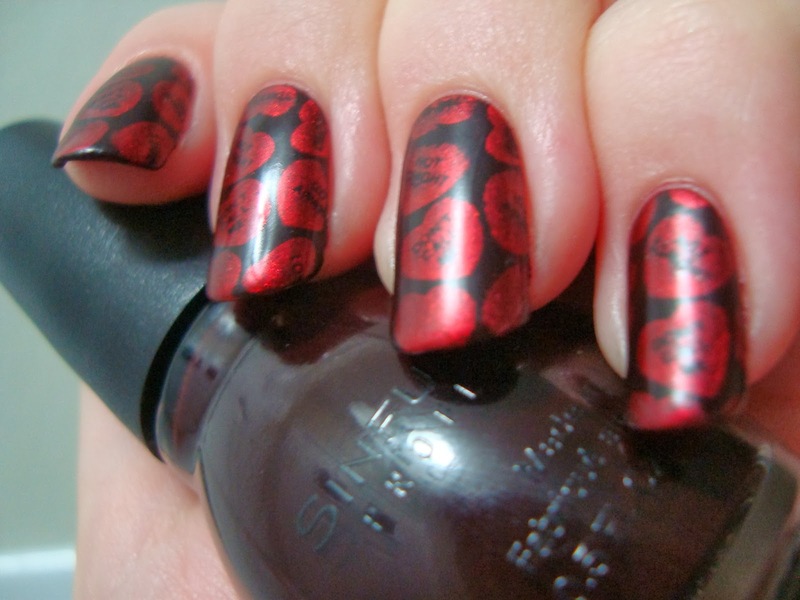 Going backwards a bit... Like most of my stamping, I started it off as just an accent. My only regret in how the final result looked is that it hid the gorgeous vampy color of Black Cherry. It looked good shiny too, but the only-kinda-matte Matte Finish really was the right finishing touch. Satin's not this shiny. 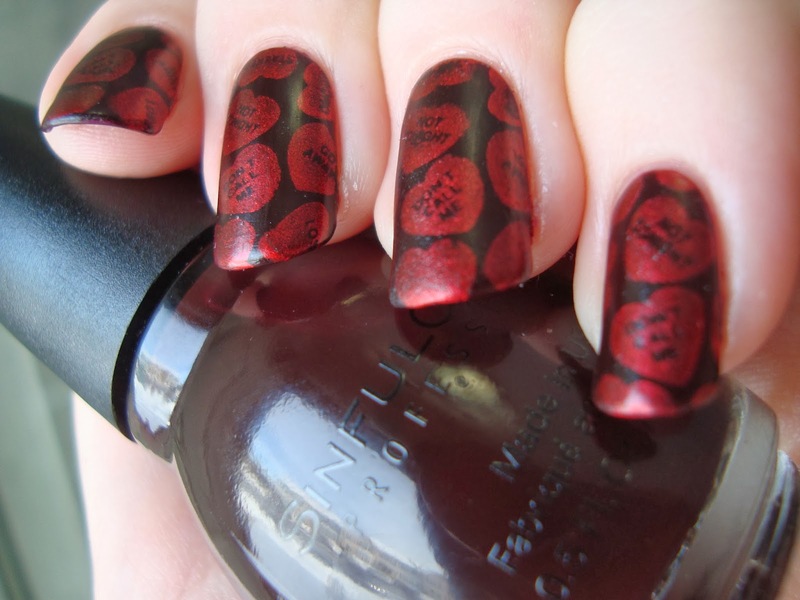 In case you missed it yesterday, Nichole is spreading a little love this week too, with another Octopus Party giveaway! 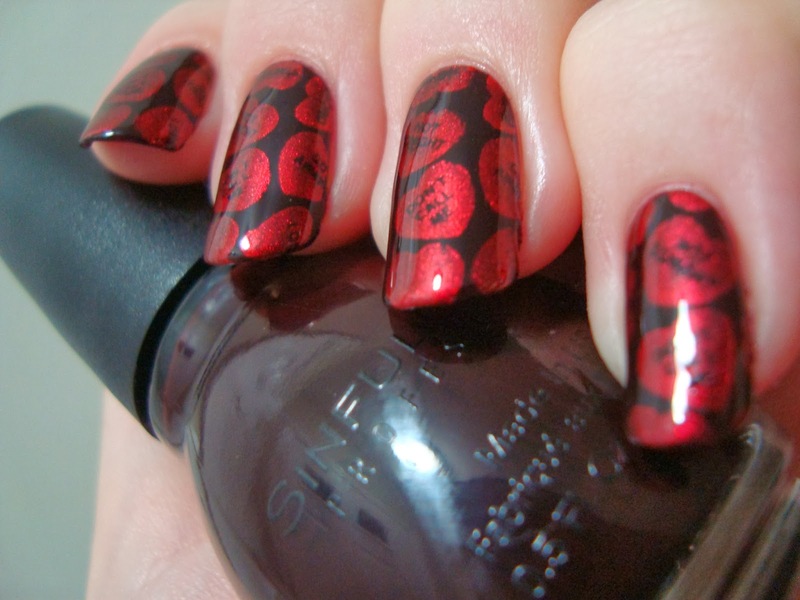 That is a wonderful stamping red!